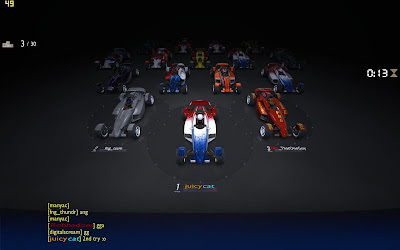 We raced on "Floyd's TM Nations Fun House" server with a host of fun racers. The server had anywhere from 23 - 30 people on at any given time. 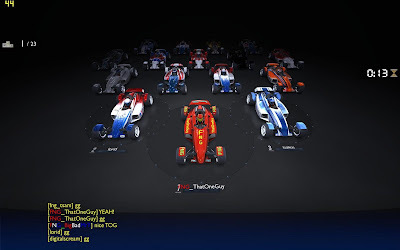 We took turns on the podium and earned a lot of ladder points tonight (which we normally don't care about; as we get on these servers to have a good time racing people...) It was just funny to see us start with so little points tonight and walk away with so much. For instance, I started with somewhere around 700 points when we began racing tonight; I left the server with 4073. We all had a blast and played from 10:30pm to 1:00am. That's right, folks. I found out about a local TrackMania Nations Forever tournament and I'm all about getting hooked up. I'm sure I'm also about getting my trash kicked and handed back to me; but it's going to be a good time no matter what happens. 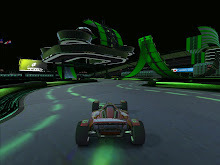 For those that don't know... GEEX Show is hosting a TrackMania Nations Forever tournament on 19 July 2008. The guest list for the 3-day Lan Party now includes That One Guy. Thundr, Tsam and Beuchety have also expressed interest in attending the event and potentially participating in the TrackMania tourney. I'm hoping we'll have a good FNG presence there; and that many more Utah gamers will help make this a well attended event; so they'll want to make it a recurring event. So as Utah Gamers, and especially FNG; let's help make this a killer event by adding our support in appearing at the expo and especially having a sweet time doing what we do best; being TrackManiacs.